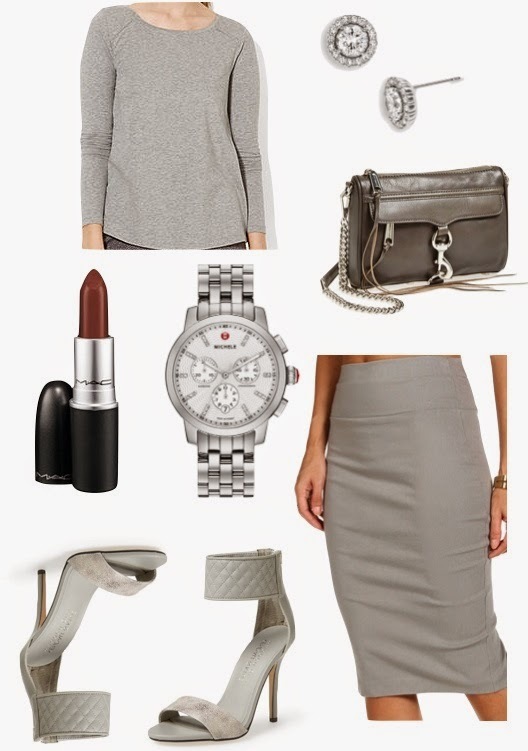 skirt | sweater | shoe | bag | lip | watch | earrings A little outfit inspiration for you on this lovely Wednesday. I am super obsessed with gray this season and just cannot get enough of it. After seeing all the Ralph Lauren ads in my Fall Fashion magazines of multiple gray mono-chromatic looks, I knew I was right on track! Pair this simple all gray look with a slicked back pony or high bun and off you go to church or date night looking rather sleek and chic! P.S. Happy Birthday to my Father in Law who is a wonderful supporter of all my blogging endeavors! Love ya! !